(Asti, CA): Italian Swiss Colony, (n. d.). Ca. 1912 (?). Slight soiling and staining to paper, small tear to top edge (no losses). A Good+ item.. Single sheet, printed both sides. 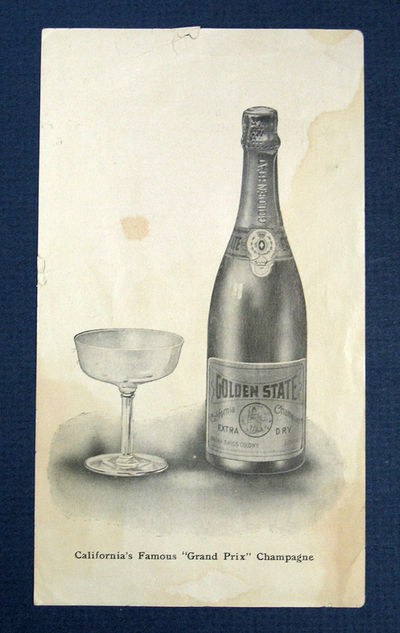 Large b/w image of California's Famous "Grand Prix Champagne" to opposite side. 6-1/4" x 3-1/2"